According to the American Cancer Society, over 30,000 cases of oral cancer are diagnosed each year, with over 7000 of these cases resulting in the death of the patient. Fortunately, oral cancer can be diagnosed with an annual cancer exam provided bySteel City Implants & Periodontics. If caught early, oral cancer can be effectively treated. The oral cancer examination is completely painless.  Steel City Implants & Periodontics will look for abnormalities and feel the face, glands, and neck for unusual bumps. Lasers may be used to highlight pathologic changes, and can look below the surface for spots and legions invisible to the naked eye. Some of the signs that will be investigated are red patches and sores. Red patches on the floor of the mouth, or the front of the tongue, and bleeding sores which fail to heal easier, can be indicative of cancerous changes. Leukoplakia is a hardened white or gray, slightly raised lesion that can appear inside the mouth, and may be cancerous. Signs of these will be examined as well. Finally, soreness, lumps or the general thickening of tissue anywhere in the throat or mouth can signal pathologic signs, and will be examined. If abnormalities, lesions, lumps, or leukoplakia are apparent,Steel City Implants & Periodontics will implement a treatment plan that is right for you. It is also important to note that over 75% of oral cancers are linked with avoidable behaviors such as smoking, tobacco use, and excessive alcohol consumption.Steel City Implants & Periodontics can provide you with literature and options about quitting dangerous behaviors such as tobacco use.